This topic contains 7 replies, has 5 voices, and was last updated by Mahi 4 years, 10 months ago. We just realized that our seller can't edit their product on frontend. 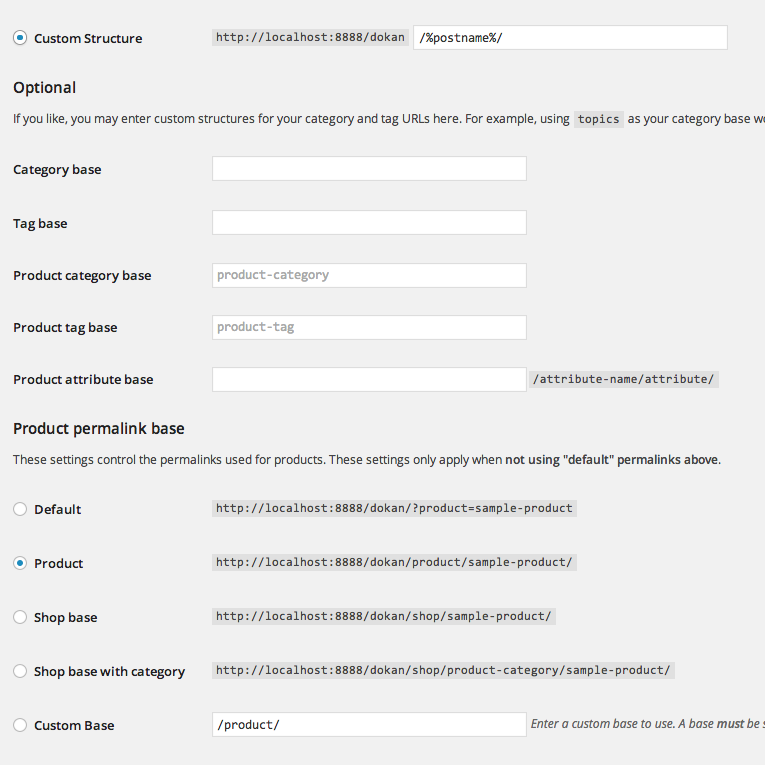 They can add products, edit the draft/unpublished product. But once the admin publish the product, they can't edit those products. If they click the edit button, it will return a 404 error page. The URL structure are just like the Dokan demo. But it's not working for my site. I've tried deactivating all plugin (except Dokan Add-ons & Woocommerce) but it still didn't work. Any idea how to fix this? Just let me know if you need anything else (seller login, etc) to troubleshoot. Have you changed any coding of Dokan? I think I've found the culprit here, it's my permalink structure. I just changed it into /product base and everything works fine! Thanks Nizam for the quick response. abelljefrry, would you mind taking a screenshot of your permalink structure you've set? I'm having the same problem where Seller's can't edit products on the front-end in their dashboard. I am kind of new at this, I changed the permalinks around as I was receiving the same issue. At first I created a page just named edit, which resolved the issue for a bit and then it came back. When I try to update my permalinks to look like the picture above and save it, it just goes back to post name and custom base. Can someone give me a bit more incite on how I can fix this the correct way as now when you click a product that was listed within the products in your account it just brings you to the blank page named edit. @david – please open a new support topic with your issue. This topic already marked as solved. If possible share some screenshots as well. The topic ‘Our Seller Can't Edit Their Products (404 Error)’ is closed to new replies.